I’m Jim, although they tend to call me Grizzly Jim these days. Is it because I’m grumpy? Because I have the strength of a bear? Because I once went on a peyote-fuelled vision quest with a shaman and discovered my spirit animal? Although there may be truth in all of those, well apart from the peyote. I have no idea, in all honesty, it’s probably just because I have a beard. Other than my beautiful family, the one thing that means more to me than anything in this world is traditional archery, but more specifically instinctive archery. So much so that I’ve dedicated my life to promoting it, educating people about it and sharing my passion for it. I guess it all began thirty something years ago, back when I was four. I grew up on a farm, exactly right smack bang in the middle of nowhere. I guess I was a curious kid, although my dad would probably use the term ‘pain in the arse’. There wasn’t a day that passed where I didn’t get into trouble for going somewhere or doing something I wasn’t supposed to. Like I say I was a curious kid, but give me a break I was only four. About the same age as my oldest son is now so I think I know exactly what my dad was going through and I would like to take this opportunity to apologise to my folks. ...with my cobbled together stick bow, shooting anything I could, from old tree stumps to rusty tin cans. I spent most of that summer running around the woods that backed onto our farm, with my cobbled together stick bow, shooting anything I could, from old tree stumps to rusty tin cans. Without really knowing it, I was cementing my love for instinctive archery. If truth be told, I didn’t even know what instinctive archery was back then. I mean of course it existed, I just had no notion it was actually a thing. It just seemed to be the most natural thing in the world just to be able to look at something and be able to hit it with an arrow. 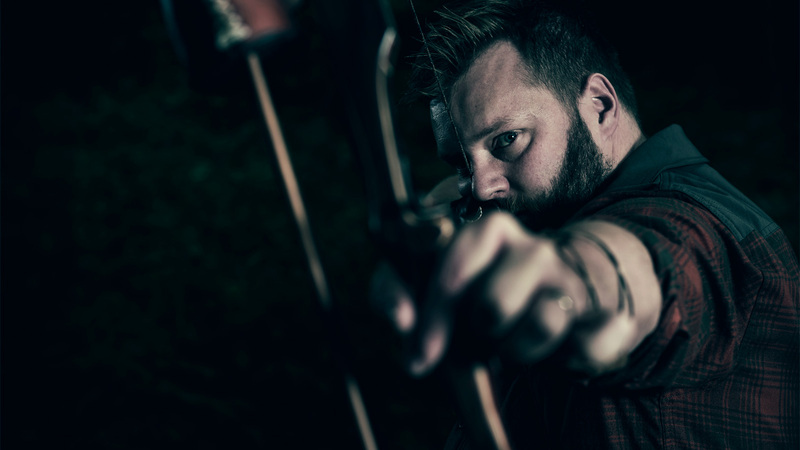 Who knew that Instinctive Archery would become so popular. So let’s wind the clock forward a few decades, and we’ll see me making YouTube videos for my original channel Archery Adventures. After a couple of years, my channel had grown to a modest size, and I was enjoying some moderate success. It was then I got my first break, I was picked up by the company Merlin Archery. To be the face of the company and make videos for their YouTube channel. I spent three incredible years there, travelling all over Europe. It gave me a great platform to promote instinctive archery. But like all good things, it came to an end at the close of 2016. And that nicely bring us to present day, where I have now reactivated my original YouTube channel Archery Adventures and regained my independence (hence this website) where I’ll be using it as a platform to share my passion of instinctive archery… I would truly like to thank you for stopping by.